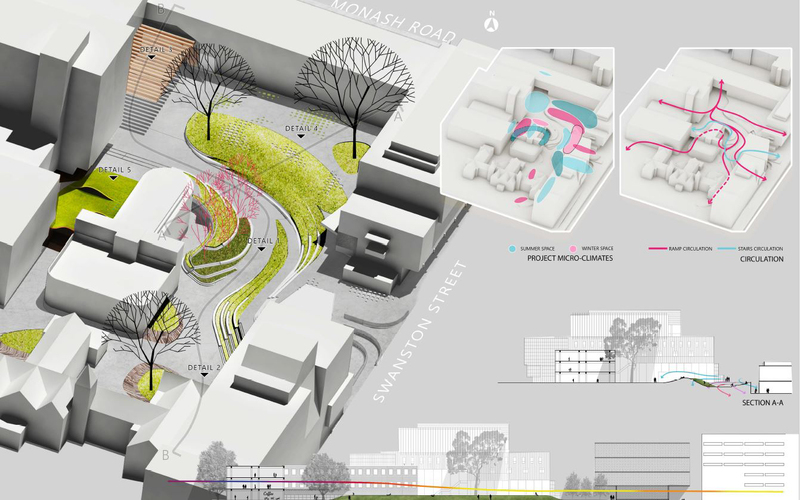 Open to students studying Master of Architecture, Landscape Architecture or Urban Design, the subject explored a range of techniques including data capture and the use of simulation software, and engaged critical analysis of design precedents to produce a design proposition for a site in Melbourne which responds directly to the issues of a warming climate. 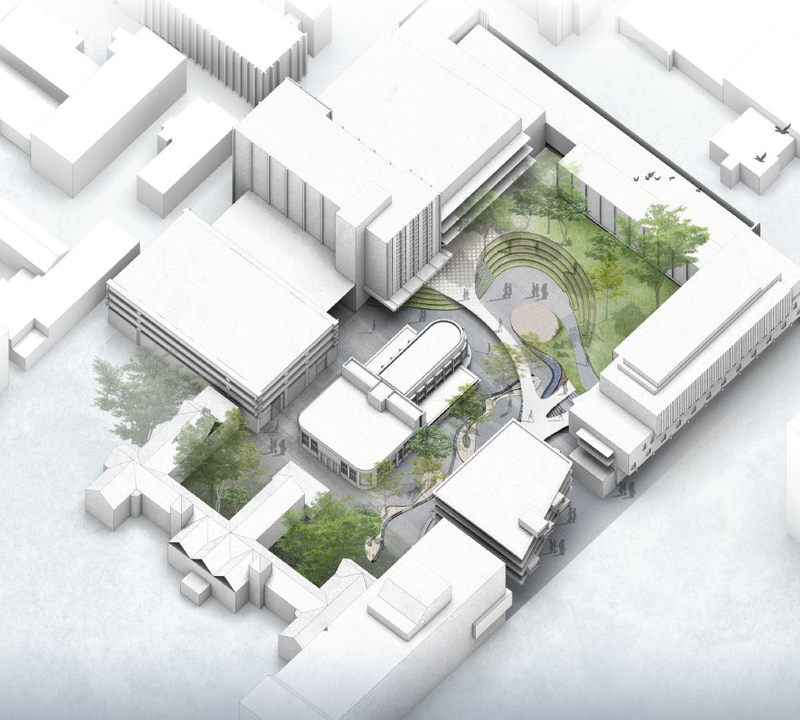 In 2017, students used the Precinct as a case study over a three-week intensive period to interrogate data and critically analyse atmospheric and climatic variations across the site in both internal and external spaces. 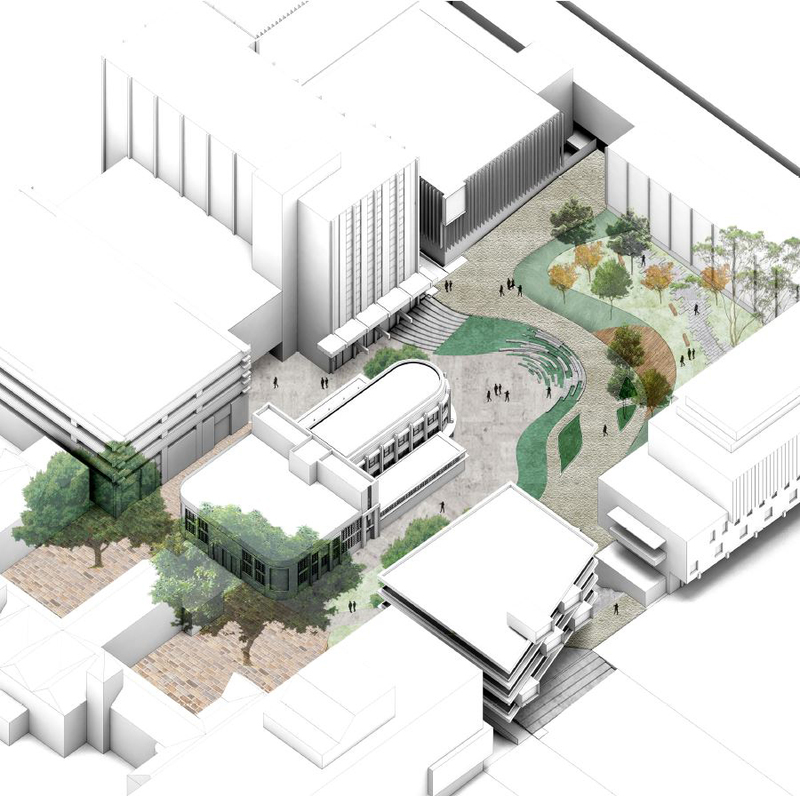 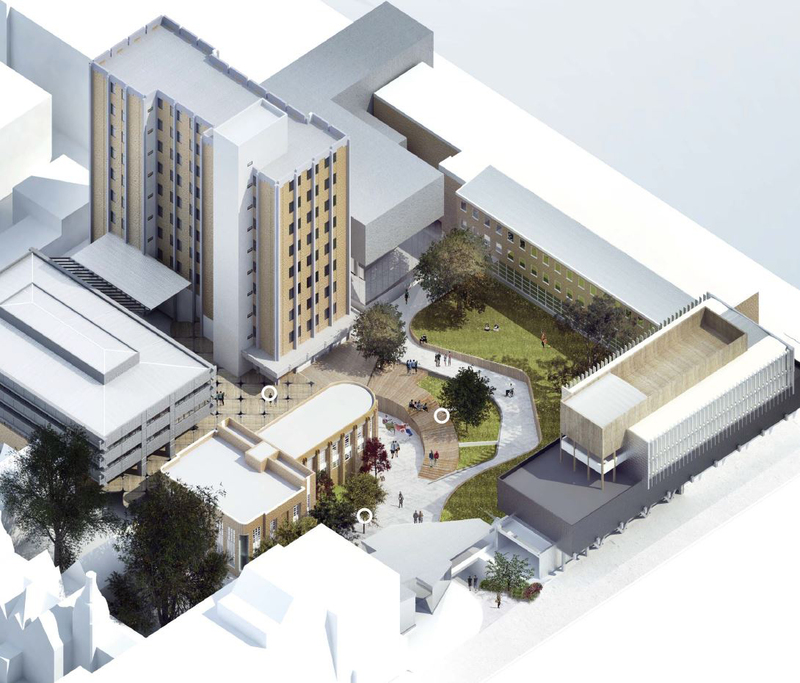 Based on their findings, students presented design responses aimed at maximising the use of the Precinct during the summer months, mitigating the effects of climate change on usability and visitor experience, while also considering how these spaces might perform during winter so that the Precinct remains an inviting, usable space all-year-round.